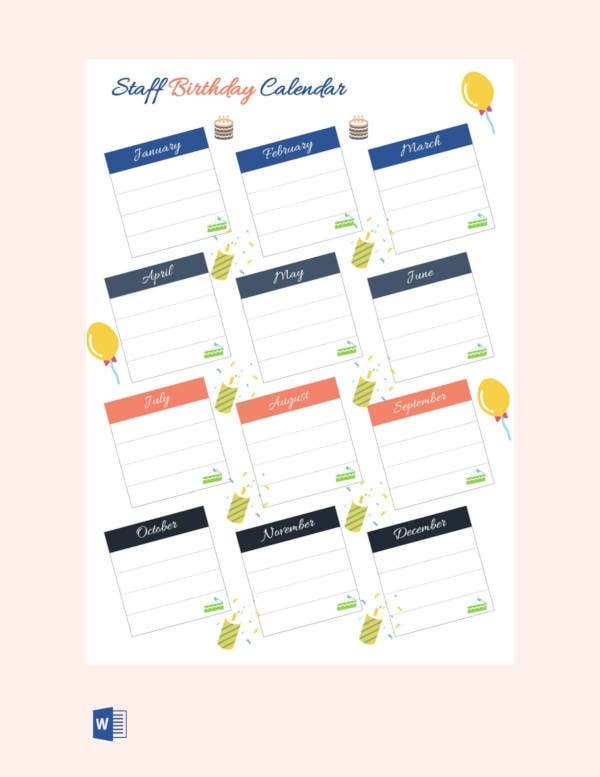 While an overall event calendar template will enable you to mark the dates of the birthdays of your loved ones, a birthday calendar is often more precise and targeted to your needs. But how do you create the best birthday calendar without really burning out? 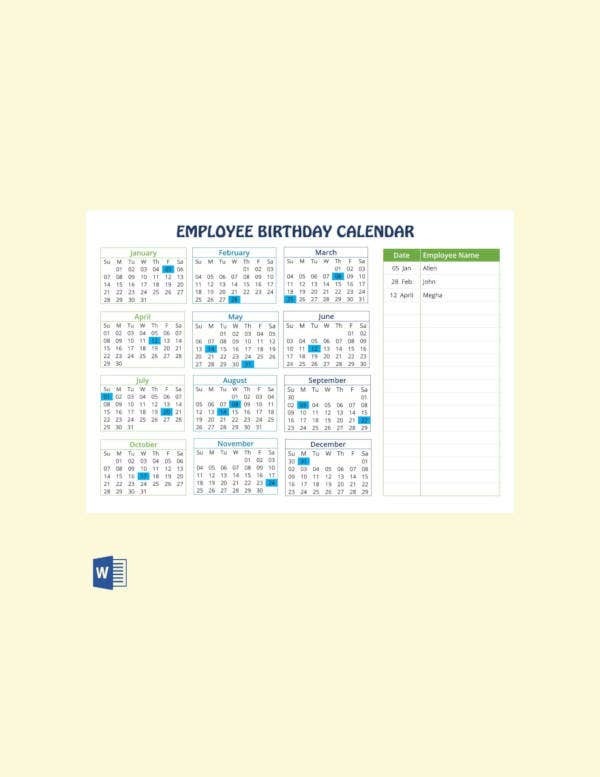 The simplest way to do this is to download a sample calendar template free. 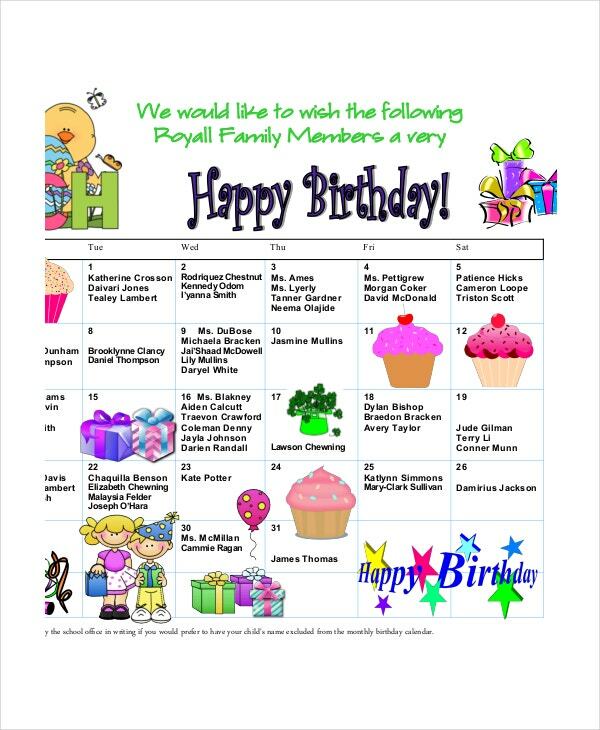 Of course, the birthday calendar samples are easy to customize. You can also start using them straight away after download. It is important to remember that birthday parties are events that you just cannot afford to miss for the world. That is why you need to use this perpetual template to a keep track of those special dates. Nothing is as beautiful as attending special birthday parties every month. But it requires planning, and you can do that using the best birthday planner calendar. 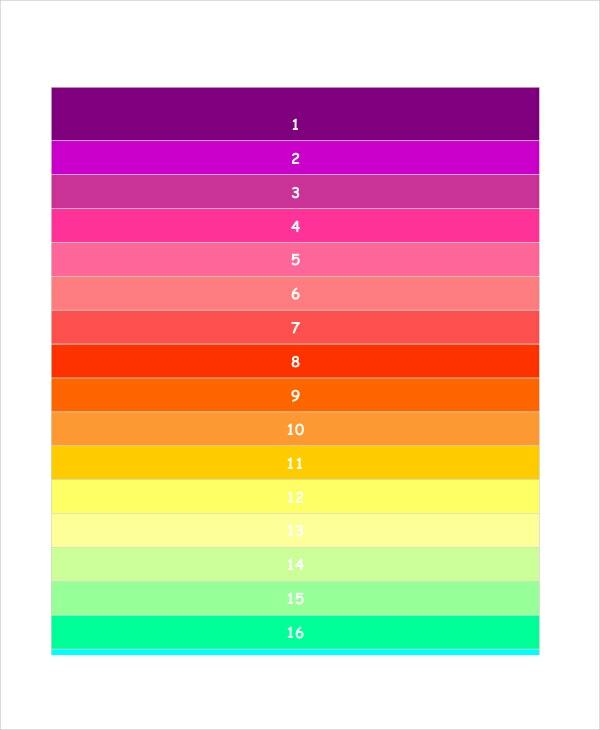 Download this file for free. It is important to remember that your family’s birthday moments are often too crucial to be ignored. 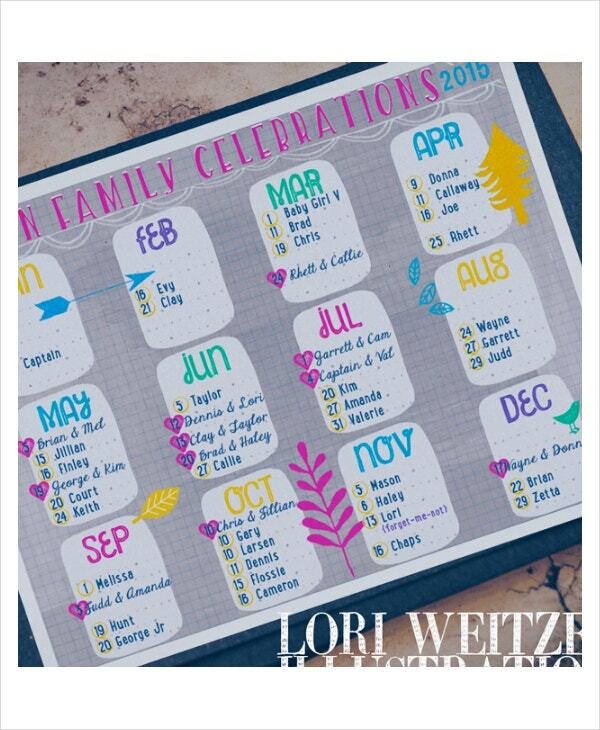 That is why you need to use this sample file to mark those special dates before they arrive. When it comes to tracking dates and creating reminders, birthday dates are something you cannot forget to record. 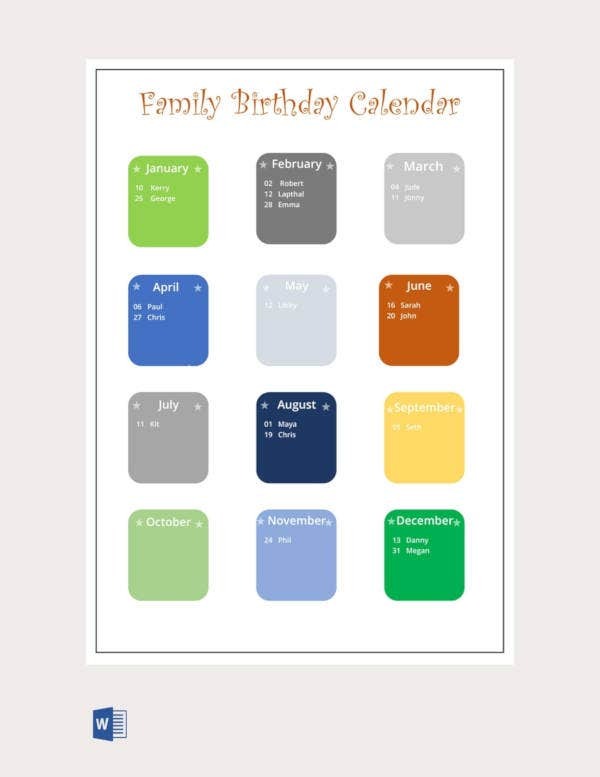 One of the most important basics of the birthday calendars is that they can help anyone who is interested in tracking any birthday dates to do so with ease. At the end of the day, anyone can use the file. 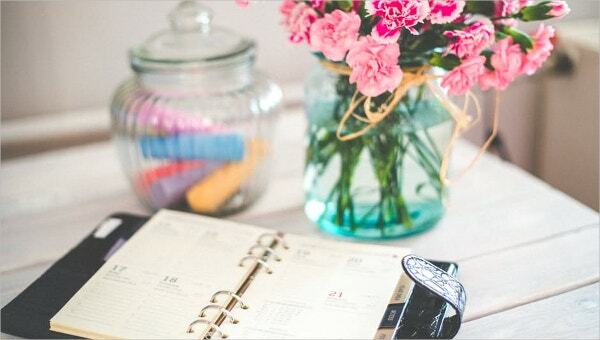 It is important to keep in mind that because these templates are general in terms of the target audience, anyone can use them for special date tracking. Because the templates are available in variations, you can always choose the one that looks best for you. 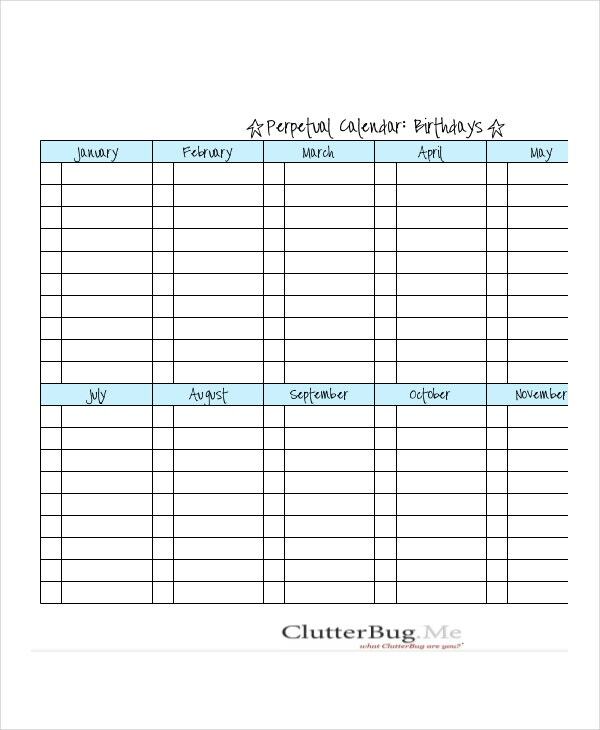 You can also see Printable Perpetual Calendars. Has someone invited you to a birthday party? It is obvious that you do not want to miss the event. The best thing to do is to download this file and start using it to keep a watch on those dates. 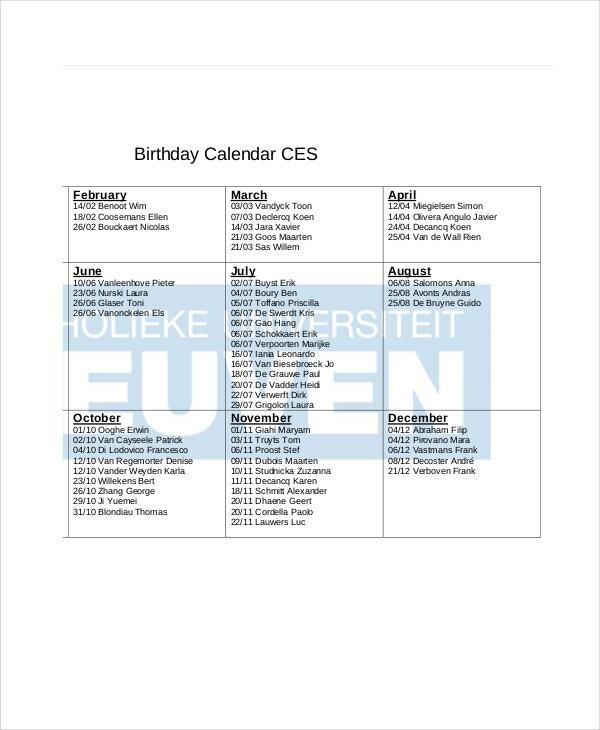 You can also see Birthday List Templates. 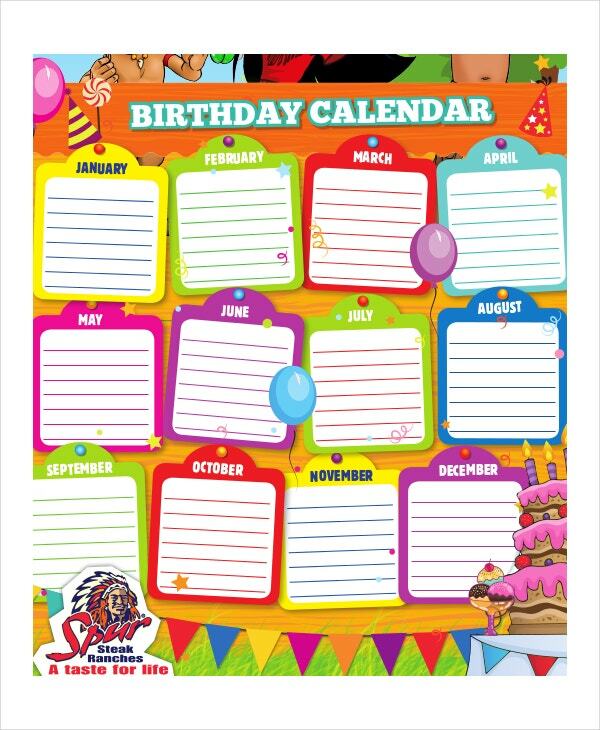 The purpose of this calendar is to enable you to keep a track of the important birthday dates. The birthday dates can be those of your family members, friends, or someone you have just met. 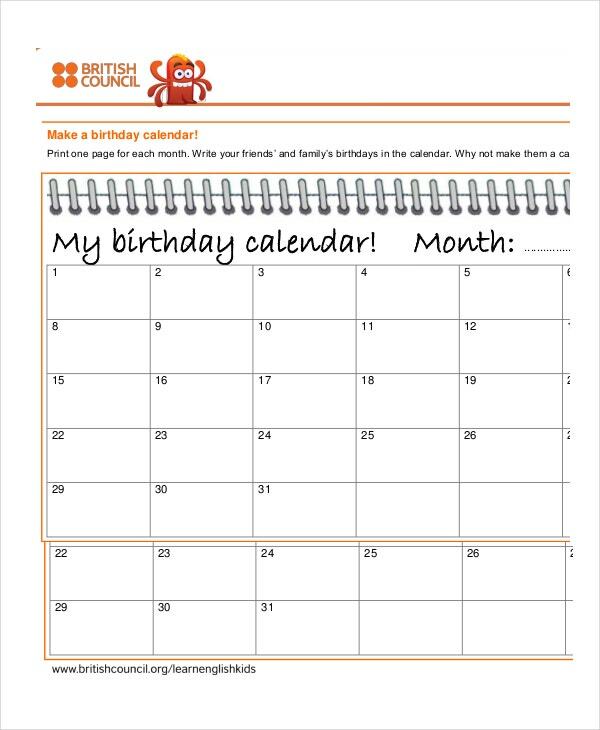 > What are the Benefits of the Birthday Calendar Templates? 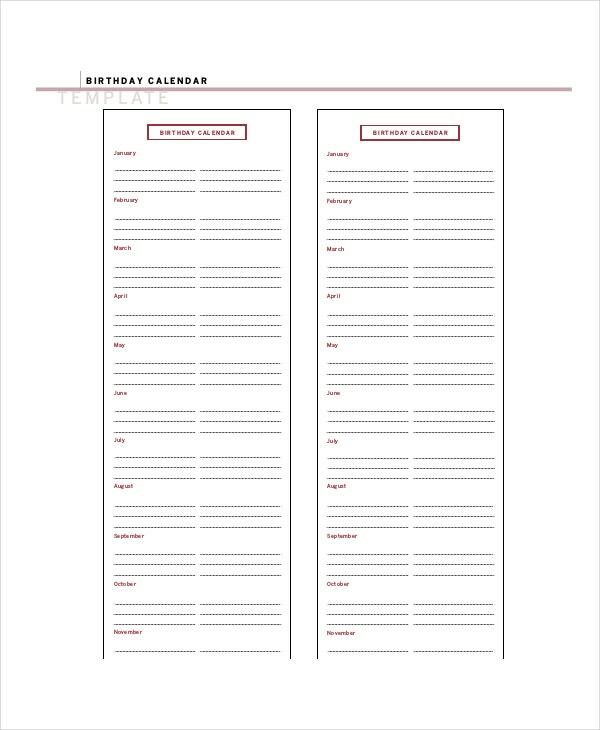 When you use these templates, you never forget to track those special birthday dates. That means you will not be forgetting to host that special birthday party for someone you care about when the day comes. It is important to remember that these templates are available for free download. 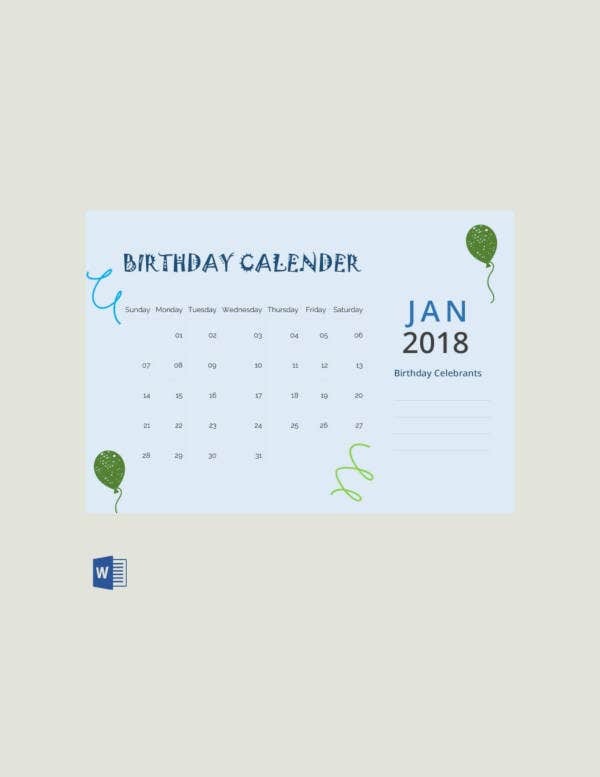 So, if you are looking for birthday calendars that you can download on the fly with a single mouse click, this list has exactly what you need. These templates are easy to customize. Although you can use them exactly as they are after download, you may consider customizing them to make them look more personalized. Birthdays are important to the young and the aged. Everyone wants to host a special birthday party whenever the time for celebration comes. The reason why people use calendars and create reminders is they don’t always want to forget important dates – dates like those of birthdays. That’s why these birthday templates are so important to many people.